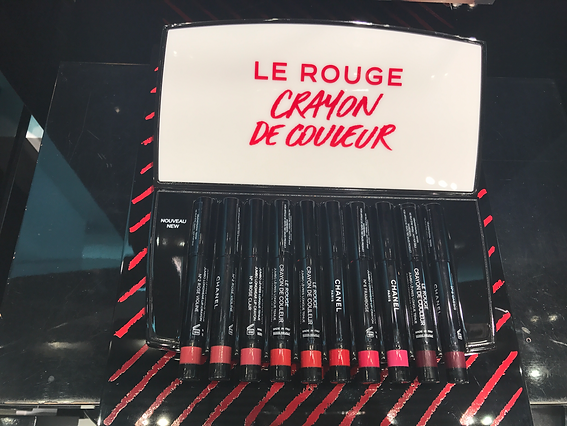 Chanel has launched a whole new product recently in Australia and its the Le Rouge Crayon De Couveur. It comes in 11 new shades and it is a twist up lipstick in a chubby stick form. Good thing about this? No need sharpening and making a mess or losing thay damn sharpener and not knowing where you have placed it. Or worst? If you’ve gotta pay extra for it. I’ve always loved Chanels lipstick, they’re plots are pigmented and lovely shades. The downside to it is that they aren’t as long-lasting as other brands, so that means you might end up with patchy, smeared or bare lips. The good side about it is, it doesn’t stain and there isn’t any permanent pigments that would go deep down into your lips. Most Crayon lippies or chubby sticks that we know usually has a matte finish, it glides on easily and stays on forever. But as for Chanels Crayon lippies, they last for about 4 hours and it’s touch up time. As a lippie junkie I would definitely get my hands on all colors cause they’re amazing!! Have you tried them? Which would be your favourite color?